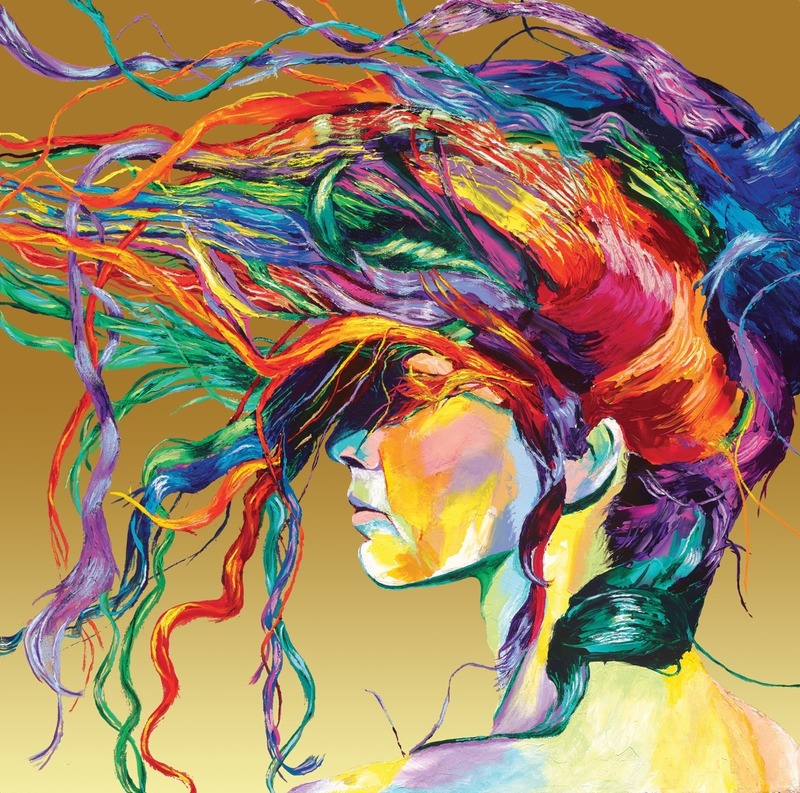 Her multi-colored hair blowing in the wind, gives a sense of graceful freedom, confidence and peace from within. Giclée on canvas, limited editions are substantially hand-embellished over the image with a hand-painted gold background, then varnished making each giclée reproduction, in and of itself, a new original painting. "WINDSWEPT" is a bestseller and has sold tens of thousands of open edition prints through Wayfair, Amazon, Overstock and Art.com. It took 2nd place in "Best Portrait" Honors of the 2014 American Art Awards, was voted best Post-Graduation Housewarming Gift 2017 by Faveable, has been featured on the covers of magazines such as Art and Beyond and Sasee, presented by galleries and other venues. Limited Edition Giclée on Canvas with digitally simulated gold background and gloss varnish. Limited edition #1of 5. Comes with a white museum floating frame.